1. I agree to observe and obey all posted rules and warnings, and further agree to follow any oral instructions or directions given by Zenith VR + Escape, or the employees, representatives or agents of Zenith VR + Escape. 2. I recognize that there are certain inherent risks associated with the above described activity and I assume full responsibility for personal injury to myself and (if applicable) my family members, and further release and discharge Zenith VR + Escape for injury, loss or damage arising out of my or my family's use of or presence upon the facilities of Zenith VR + Escape, whether caused by the fault of myself, my family, Zenith VR + Escapeor other third parties. 3. I agree to indemnify and defend Zenith VR + Escape against all claims, causes of action, damages, judgments, costs or expenses, including attorney fees and other litigation costs, which may in any way arise from my or my family's use of or presence upon the facilities of Zenith VR + Escape. 4. I agree to pay for all damages to the facilities of Zenith VR + Escape caused by my or my family's negligent, reckless, or willful actions. 5. Any legal claim that may arise from participation in the above shall be resolved under Virginia law. 6. I agree that Zenith VR + Escape, or the employees, representatives or agents of Zenith VR + Escape, has the right to any photos or any video/sound footage of me during my visit to Zenith VR + Escape. These photos, video footage, and sound materials may be used for any marketing purposes. These photos and vidoes may include, but are not limited to being streamed on Twitch.tv. 7. I understand that if I am visibly intoxicated and/or behaving inappropriately, I may be asked to leave regardless of whether I have completed my escape or not. I agree that this decision is made under the sole authority of my GameMaster or any another Zenith VR + Escape staff member, and that I am not entitled to a refund of any kind under these circumstances. 8. 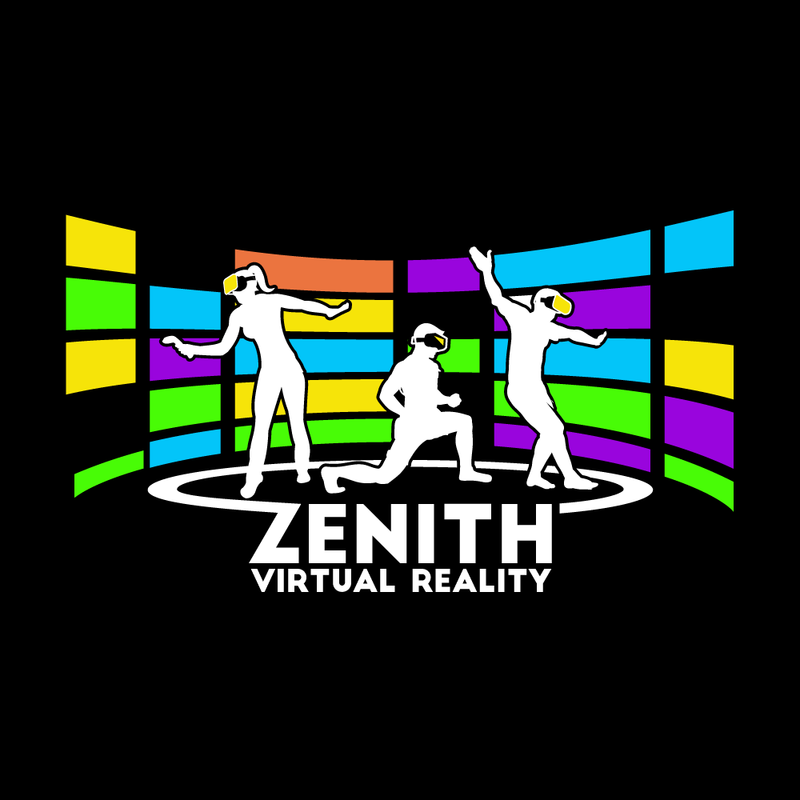 I understand that due to the confidential nature of the Zenith VR + Escape experience, I cannot take photos, nor video or audio record, my participation and/or stream of any kind; i.e. Twitch.tv, Facebook Live, Skype or likeness. 9. I agree that escape rooms and virtural reality are emotionally-intense experiences occuring in tight-fitting physical spaces with strangers and that they are therefore not appropriate places for open carry or concealed carry firearms, knives, nor weapons of any kind. I agree to leave any and all weapons outside the premises. 10. I understand that virtual reality may cause me to feel ill or disoriented, under no circumstances, do I hold Zenith VR + Escape liabile for these feelings or illnesses. Any injury or discomfort is at my own risk. 11. If I check the box below, I agree to receive emails from Zenith VR + Escapeat the email address I have provided. I am aware that I can unsubscribe using the link provided in each email, or at any time by request. 12. I agree and acknowledge that I am under no pressure or duress to sign this Agreement and that I have been given a reasonable opportunity to review it before signing. I further agree and acknowledge that I am free to have my own legal counsel review this Agreement if I so desire. I further agree and acknowledge that Zenith VR + Escape has offered to refund any fees I have paid to use its facilities if I choose not to sign this Agreement.